A1. A Hawkshaw & B Bennett - "Mon Amour"
A2. A Hawkshaw & B Bennett - "Oddball"
A3. A Hawkshaw & B Bennett - "Daytripper"
A6. A Hawkshaw & B Bennett - "Auto-Pilot"
B1. A Hawkshaw & B Bennett - "Pacesetter"
B2. A Hawkshaw & B Bennett - "Home Run"
B3. A Hawkshaw & B Bennett - "Driving Force"
B4. A Hawkshaw & B Bennett - "Action Man"
B5. Alan Hawkshaw - "Funky Chicken"
B6. Alan Hawkshaw - "Jolly Roger"
B7. Alan Hawkshaw - "Dumbo"
B8. 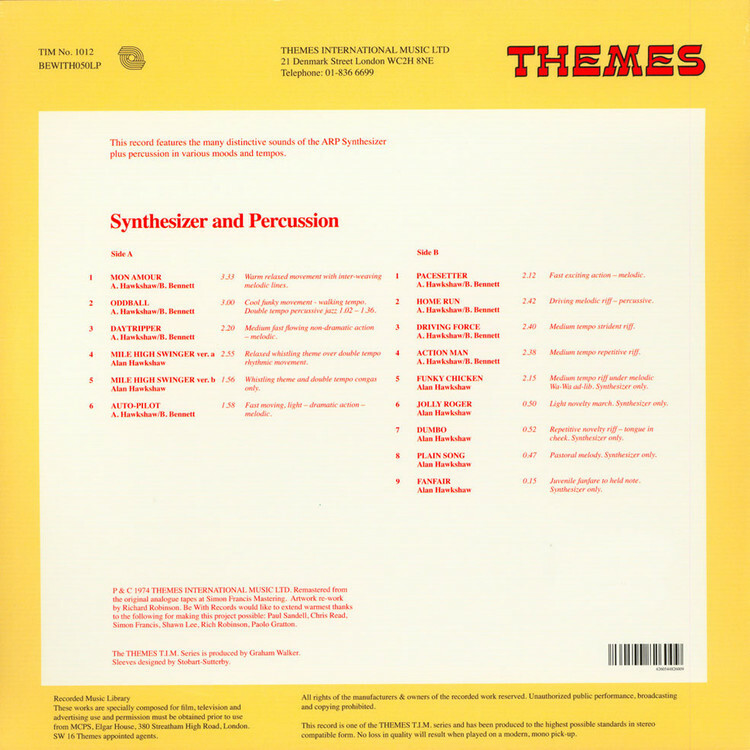 Alan Hawkshaw - "Plain Song"
B9. 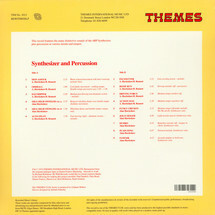 Alan Hawkshaw - "Fanfair"
Released in the same year as Synthesis over on KPM, 1974’s Synthesizer and Percussion is its essential companion piece. “This record features the many distinctive sounds of the ARP Synthesizer plus percussion in various moods and tempos” is the even more underwhelming than usual library record sales pitch for Alan Hawkshaw and Brian Bennett’s second collection of what is basically minimal G-funk, with overtones of primitive acid house. This is ridiculously good.